So you know how much I love the ezine One Thimble, right? I have raved about patterns from the ezine here, here, and here. Issue four just released today and it is packed full of good stuff. But the best part…guess who has a pattern in it….this girl!! I was so flattered and excited when Jen contacted me and asked if I would like to be a contributor for this new issue. 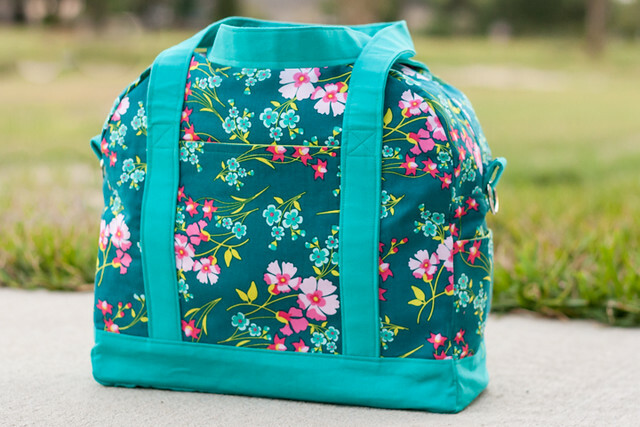 She mentioned liking some of the bag tutorials I have here on the blog so I decided to come up with a bag pattern to contribute. And here is what I came up with… the Sunny Daytripper! 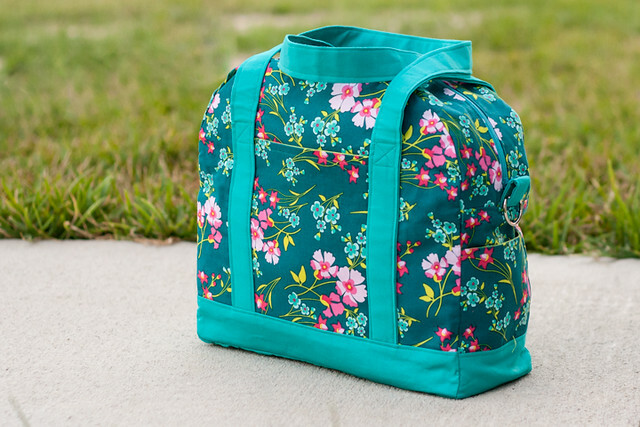 I designed this bag to be a kid’s weekender bag, something fun for weekend trips to grandma’s house or to take to sleepovers. But it is a really great size to be a women’s carryall or even a diaper bag. 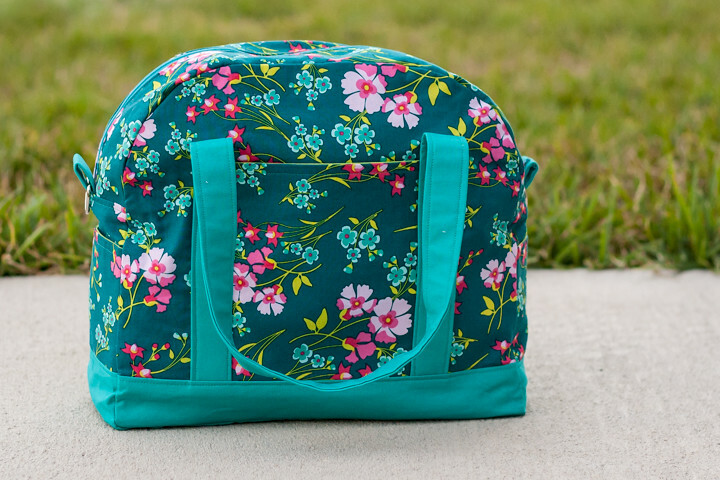 The bag is 13” wide, 12” tall, and 5” deep and the handles have an 8” drop. It also has an optional shoulder strap. 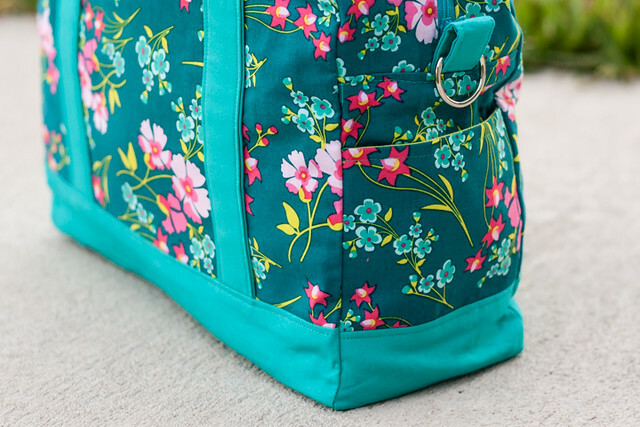 The Sunny Daytripper has 1 exterior pocket on the front and 2 exterior side pockets. 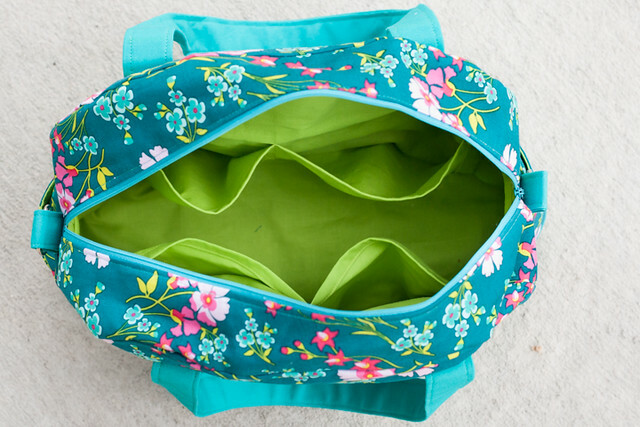 And it has 4 pockets on the inside, perfect for holding smaller treasures! You can get the pattern in the new One thimble issue or you can buy it by itself over at the One Thimble website. It is really fun to see a pattern I designed in One Thimble! 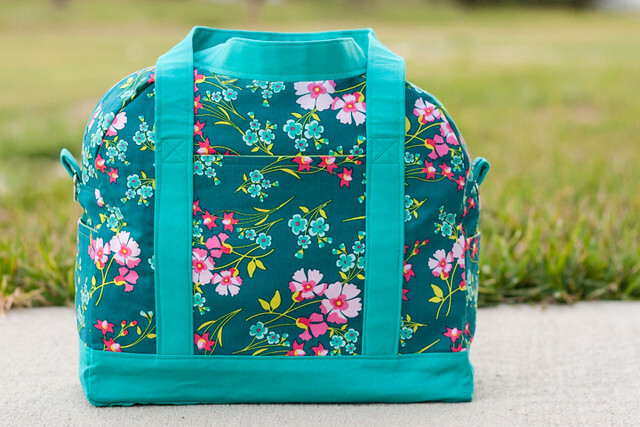 I am so thankful to Jen for this fun opportunity and also to the awesome ladies that helped me test and perfect this pattern, I will be sharing some of the photos of the great bags they made soon! This bag is adorable! I would love to make one for my niece. Where can I get the pattern? I clicked on the link provided for the individual pdf and it comes up Page Not Found.